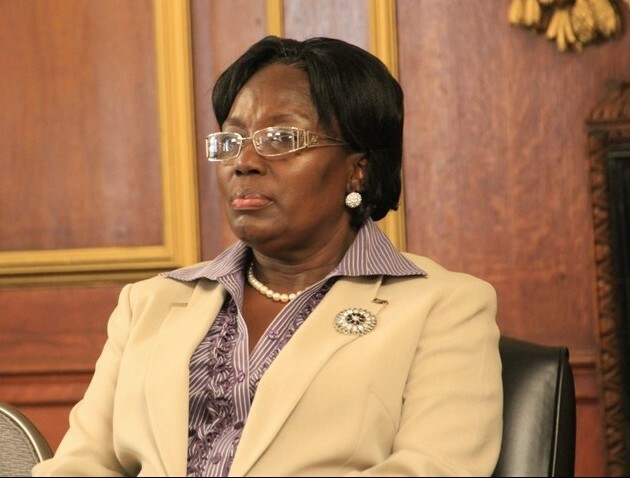 NAIROBI – Speaker of Parliament Rebecca Kadaga has said her health is improving and urged her family not to worry. Ms Kadaga has been admitted to the Aga Khan Hospital in Kenya for now about two weeks for what the government described as fatigue-related issues. Her prolonged stay in hospital has been a cause of concern among Ugandans and her constituents, who have recently held prayers for her. But in a telephone call to her mother, Ms Eva Kagoya Kadaga, in Kamuli District in full view of villagers and other constituents who had gathered in Mbulamuti Village, Mbulamuti Sub-county on Tuesday, the Speaker said she is improving. “Mother, this is your daughter Rebecca; the problem is that you worry a lot. By the grace of God and your prayers, I have improved,” the Speaker said in a conversation that was put in loudspeaker for all residents to hear. She also urged the residents to continue praying for her so that she can recover soon. The message calmed down the anxious residents, with some seen bowing down in prayer and thanking God. The speaker’s mother, Ms Eva Kagoya Kadaga, said the message was the best news she has had in a long time. “Rebecca has spoken in her usual jovial mood. Shame upon those who are against her. The Lord is in charge,” Ms Kagoya said. She, however, said she did not know what her daughter was suffering from. Her press secretary, Mr Sam Obbo, recently said in a statement that the Speaker’s health condition was a private matter which the doctors cannot reveal to anyone except close family members and attendants. Last week, President Museveni, who was on a two-day visit to Kenya, visited Ms Kadaga at the hospital.